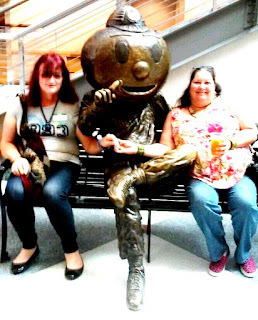 The three day Trans Ohio Symposium is being held this year again at THE Ohio State University Union. This year, Liz and I both cuddled up to the Buckeye Mascot "Brutus Buckeye" for a picture! FYI Connie-Brutus is holding up one finger because we are-National Champions-still eating roast Duck.